Quality, sustainably-sourced Eco Hardwood Firewood sold loose or netted. Irregular shaped blocks (and plenty of kindling!). 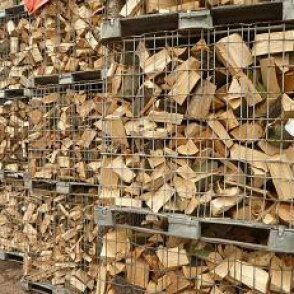 This firewood is fully seasoned, and where necessary, kiln dried on-site in our biomass-powered kiln, down to a moisture content of approximately 20-25%. This firewood is made from a mix of high quality hardwoods. The “Eco” aspect to this firewood is that it includes smaller and mis-shaped bits of hardwood that would otherwise probably have been processed into chip. This firewood will still burn really well and there is no need for a separate purchase of kindling. No stacking service with this firewood. (That’s not to say it won’t stack but, with all the mis-shaped bits, you might just have to spend a bit more time working out how best to stack the irregular bits.) If you want a more “stackable” and regular cube of firewood, see our Premium cube. If you want to save yourself even more money, and don’t mind softwood firewood (that still burns extremely well), see our Eco-Value cube.